Home / Other Political News, Politics / KABOGO’s message to RUTO after admitting Weston Hotel is built on grabbed land! Keep these type of friends, not sycophants like MURKOMEN! 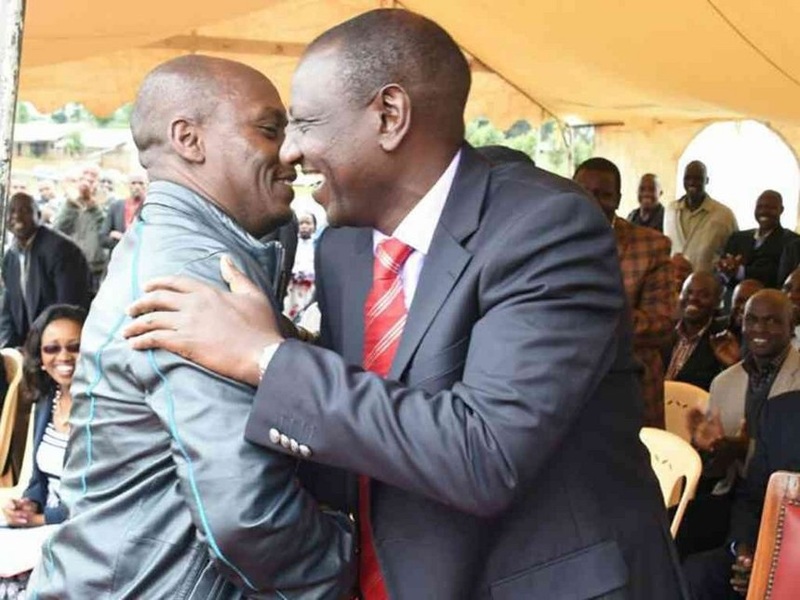 KABOGO’s message to RUTO after admitting Weston Hotel is built on grabbed land! Keep these type of friends, not sycophants like MURKOMEN! 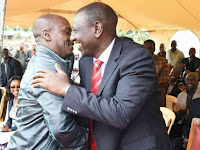 Wednesday February 13, 2019 - Former Kiambu Governor, William Kabogo, has shared his views on social media after Deputy President William Ruto told BBC that Weston Hotel is built on grabbed land. During Monday’s interview with BBC’s Stephen Sackur, Ruto said he purchased the piece of land innocently without knowing that it had been acquired fraudulently from the Kenya Civil Aviation Authority (KCAA). Ruto said he was innocent in the controversial deal and has vowed to ensure the real owner is compensated. “Reparations are being made constitutionally to restore the land to the Kenya Civil Aviation Authority by demanding that those who sold the land to us must pay," Ruto said. Following his admission that Weston Hotel is built on grabbed land, a section of Kenyans castigated the DP but Kabogo defended him saying the controversial land was disposed off by the Government in an open process and any Kenyan could have acquired it. Kabogo said KCAA ceased its claim on the piece of land estimated to be 0.72 hectares after it was allocated another piece of land near the Jomo Kenyatta International Airport (JKIA). "That land was available to be allocated to any Kenyan including yourself Bwana DP after civil Aviation was allocated land near JKIA. Just like Sunshine School and others," Kabogo said.